The FBI is searching for the whereabouts of a U.S. Marine reservist, his father and uncle after they were kidnapped from a ranch in Mexico last month, Reuters reports. 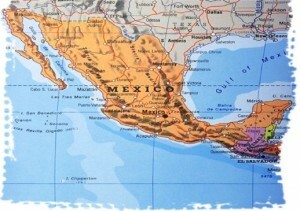 U.S. Marine Armando Torres III, who served in Iraq, was in La Barranca, close to the southern tip of Texas, when investigators in Mexico said a dispute over a ranch sale may have prompted the kidnapping, Reuters wrote. According to investigators, Torres and his two family members were kidnapped shortly after Torres arrived to visit his father’s ranch. “We’ll take any leads to find this guy safely,” said Erik Vasys, an agent from the FBI’s San Antonio office. Obama Appoints UN Ambassador As National Security Adviser. Posted: 6/5/13 at 9:50 AM under FBI, News Story.